Holla readers! Do you always suffer from back pain? Knee pain? Ankle pain? Or heel pain? Then you have to take note of your feet problem as most probably you have an abnormal arch or flat feet problem. Well, I'm one among many Malaysian who have flat feet. Flat feet is common that in an estimated 20-30% of the world’s population, the arch doesn't develop at all in one foot or both feet. Arches are developed through childhood. Some people never develop arches as a normal genetic foot variation in the population. Arches are developed for a reason. The arch provides an elastic connection between your forefoot (front of your foot) and your hindfoot (back of your foot). Much of the forces in weight-bearing when you stand up, walk, run or carry weights are dissipated by the arch before the force reaches the long bones of your leg. Low arch or eversion of heel usually indicates over-pronation which can cause injuries in the foot, ankle, knee and can further affect the pelvis, spine as well as shoulder imbalance. On the other hand, having a high arch foot, scoliosis and even a diabetic foot need special medical care by professionals. 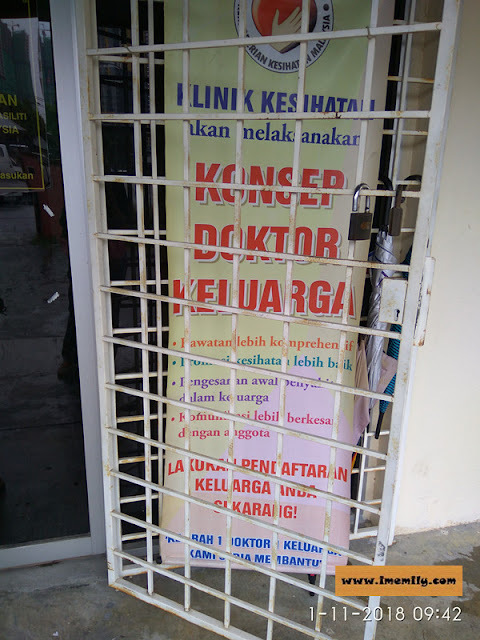 Usually, we don't seek treatment when we don't have pain. But these days, plenty of people who don’t have pain wear orthotics anyway. 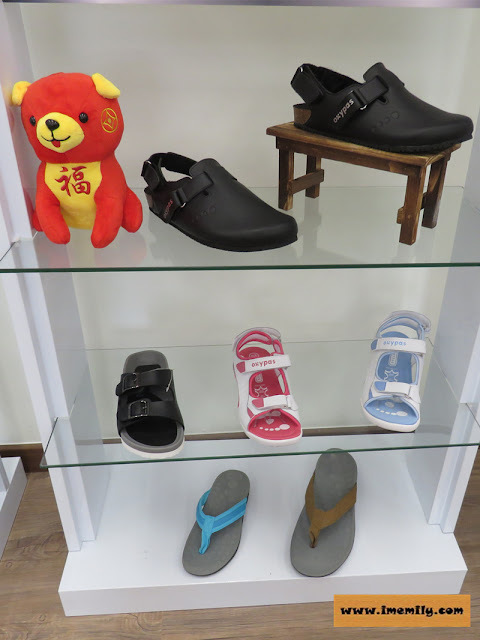 Orthotics are special aids which can be put into shoes or are part of your special shoes to help you walk. Orthotics or arch supports are definitely needed if you have pain. Orthotics will not cure our flat feet, but they can help us to walk more easily and less painfully. 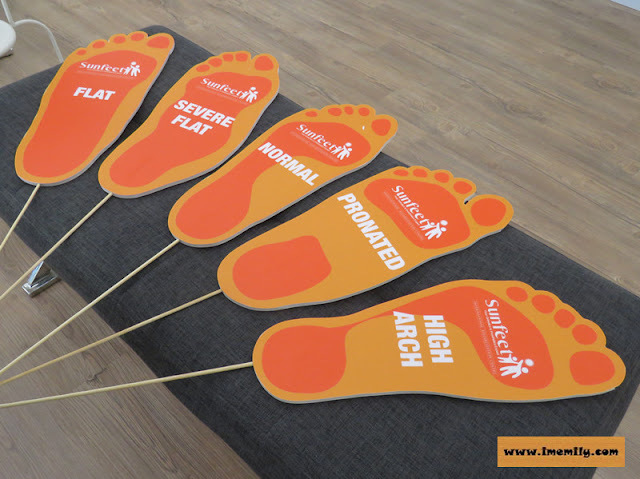 At Sunfeet International Rehab Centre, one cannot neglect that the feet are given a holistic care by its specialist and professional team on board including in the area of occupational therapy, sports rehabilitation, prosthetics, podiatry, orthotics, pedorthics and physiotherapy. 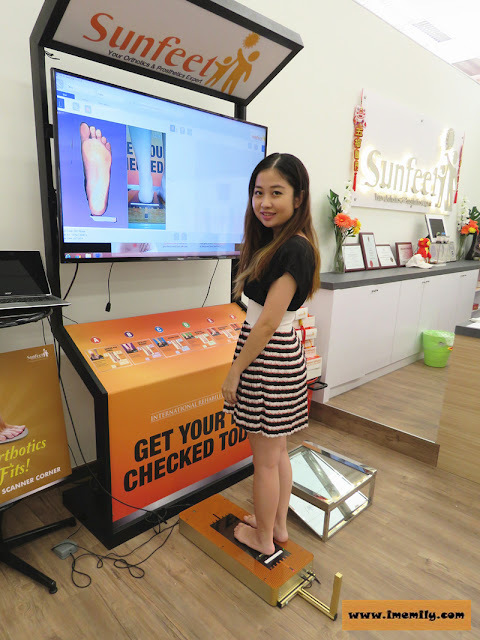 I came across Sunfeet International last week and get my feet analysis done by Dato Dr Edmund Lee who is orthotics specialist in the centre. Dato Dr Edmund Lee is the third generation of orthotics family. 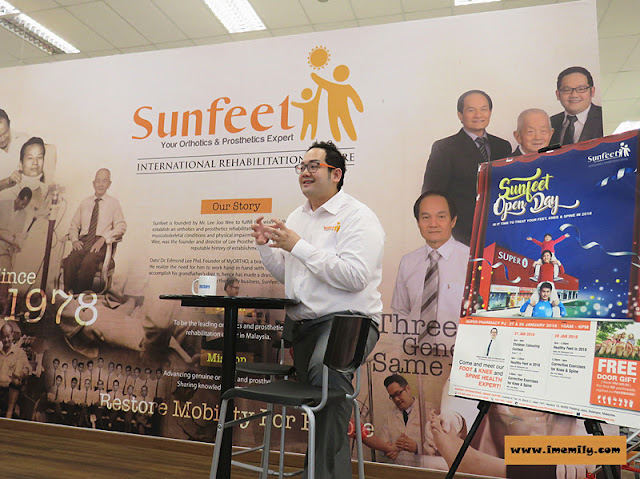 Dato Dr Edmund Lee's father, Mr Lee Joo Wee founded Sunfeet to fulfil his late father's wish to establish orthotics and prosthetics rehabilitation centre to help people with physical impairment and musculoskeletal disabilities. While waiting for others to run the feet analysis, I went around the centre to have a look. 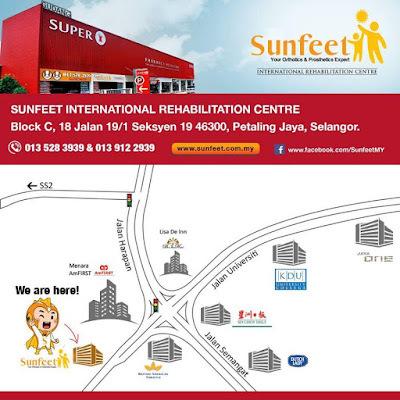 There are some treatment and examination rooms in the newly opened Sunfeet International for patients to lie down and sit. This is how they customized our insole! The mold was done within 10 minutes of time! It seems pretty easy and fast! 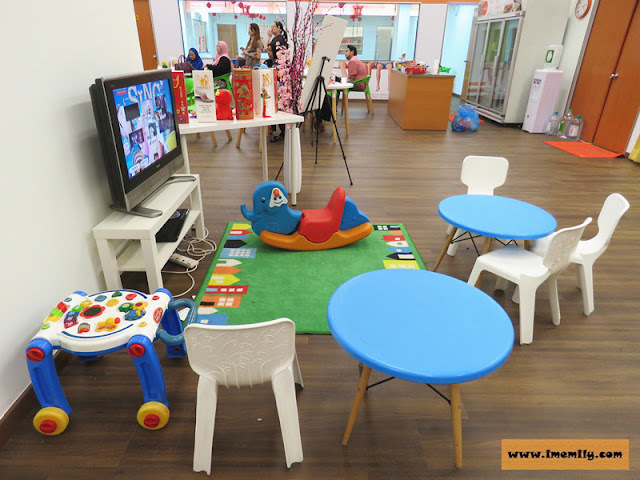 For patients with kids, the kiddo can sit down at this corner and play themselves while the parents getting consultation and treatment! The centre is just opened in last December and everything is totally new! This includes all the toys there. 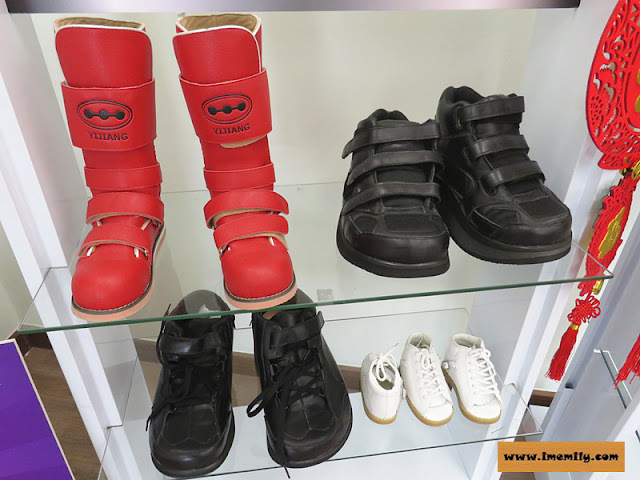 Sunfeet International not only custom-made your shoes, they also have ready-made orthotic and prosthetic products. 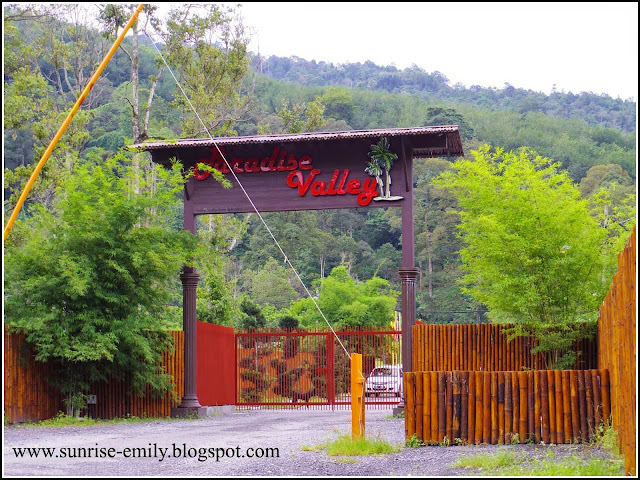 The price ranged from RM500 to few thousands. 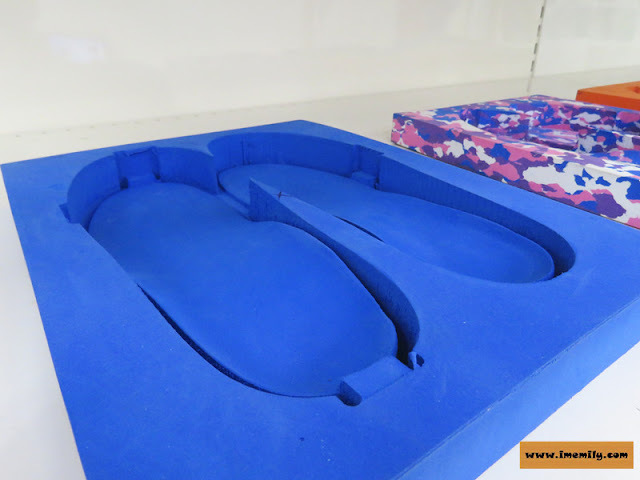 The insole is basically made up of EVA (Ethylene Vinyl Acetate) material which is a dense foam polymer. It has excellent durable shock quality to make it as an ideal substance to walk and stand for long hours while relieving the aches and pains. Sunfeet International displayed footwear on the shelf is ready to sell. The functionality of shoes are varied from one occasion to another, one can see school shoes, sports shoes, sandal and office shoes at a glance. 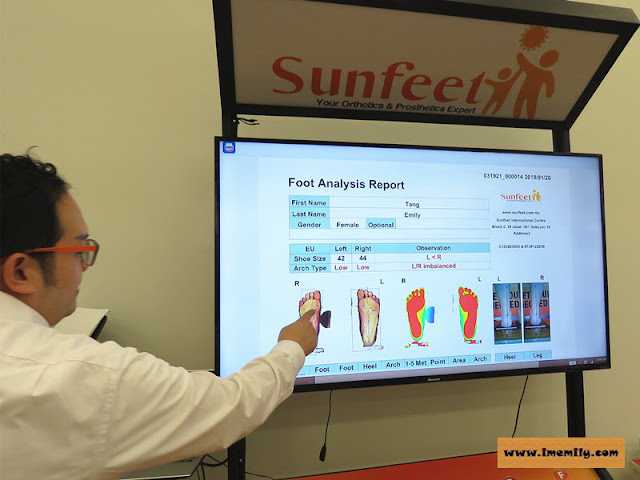 Doing feet analysis at Sunfeet International is absolutely FREE! The feet analysis takes around 30seconds. The analyzer is like a scanning machine with the light under our feet, in the next few minutes our feet image appears on the screen together with the statistic. Dato Dr Edmund Lee explained to me that I have low arch feet for both. Left foot is less balanced compared to the right. He recommended me to try Motion Control shoes to have firm medical support and best suited for over pronated foot type. The common feet issues among all Malaysian are the flat foot, severe flat foot, pronated foot and high arch foot. Do you know which type are you? The earlier you know, the lesser risk you are exposing your body to further damage! I like the foot mock-up they made which helps us to understand better the structure of each described foot problem. 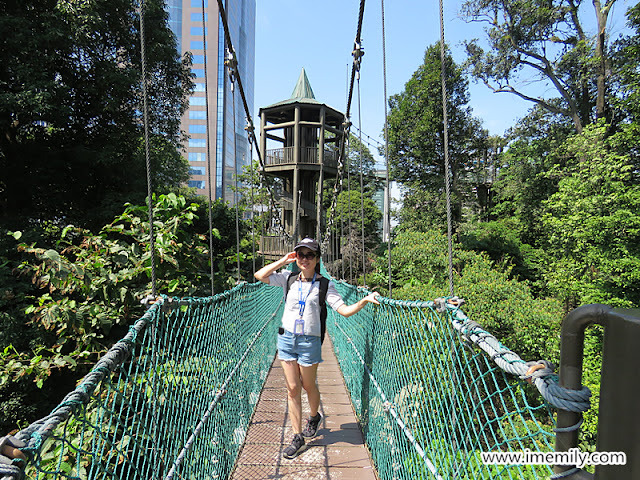 I have to say I only know I have flat feet after I met Dato Dr Edmund Lee. Thanks explaining to us. I got to know more about myself and my body! 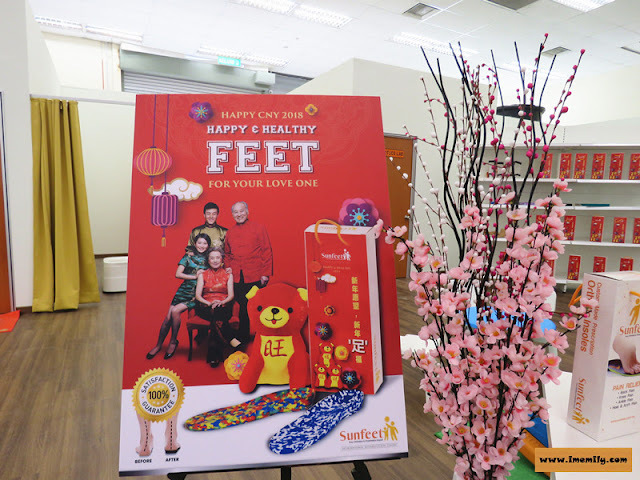 Sunfeet International comes out their own CNY giftbox themed "Happy and Healthy Feet for Your Loved Ones" in conjunction with Chinese New Year celebration. This exclusive promotion is valid until 28 February 2018. 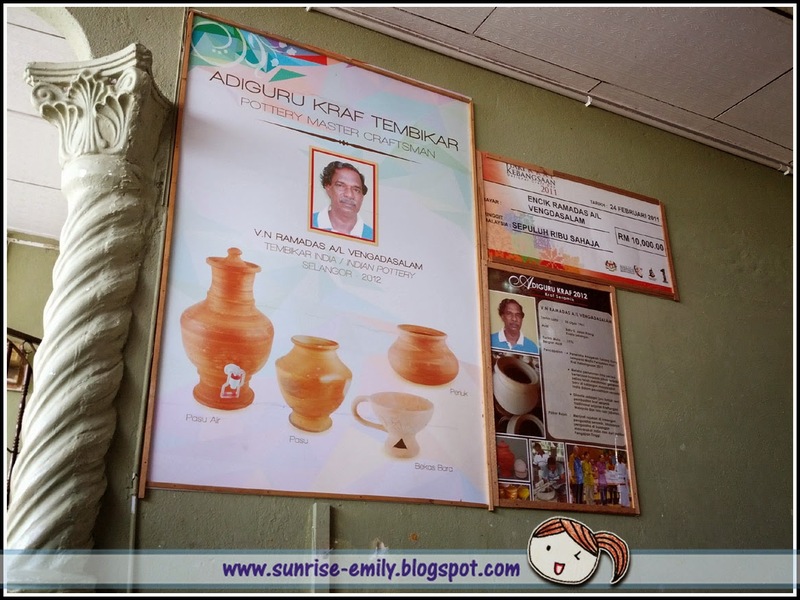 Isn't that meaningful if we could gift our parents something useful and they need so much? Good news for you guys! 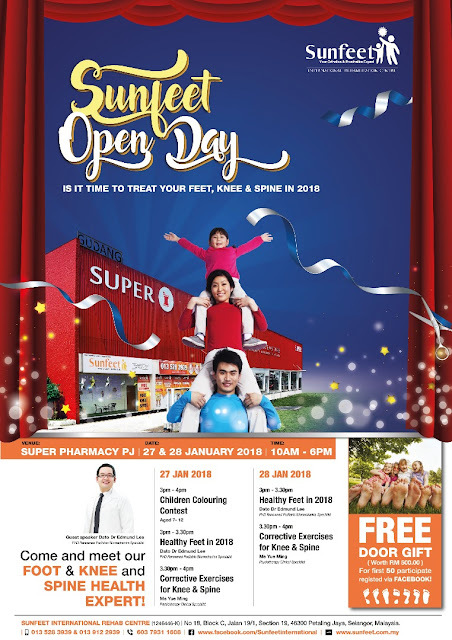 Visit Sunfeet International on coming weekend, 27 January for a public health talk and meet the orthotics expert, Dato Dr Edmund Lee. 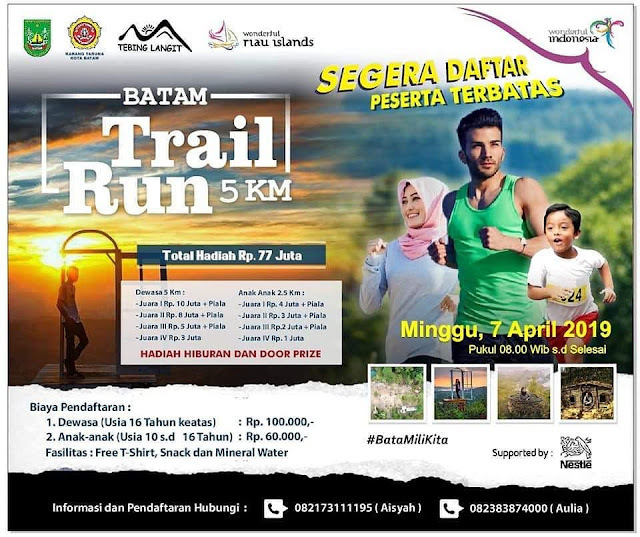 There will also be a children’s colouring contest while a special promotion is available with 15% discount on selected products. 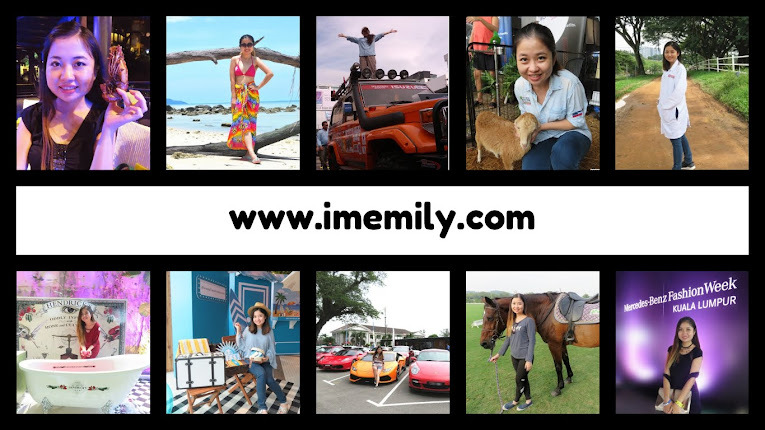 For first 50 guests who registered via FB could get a RM500 worth of voucher! Act fast now! 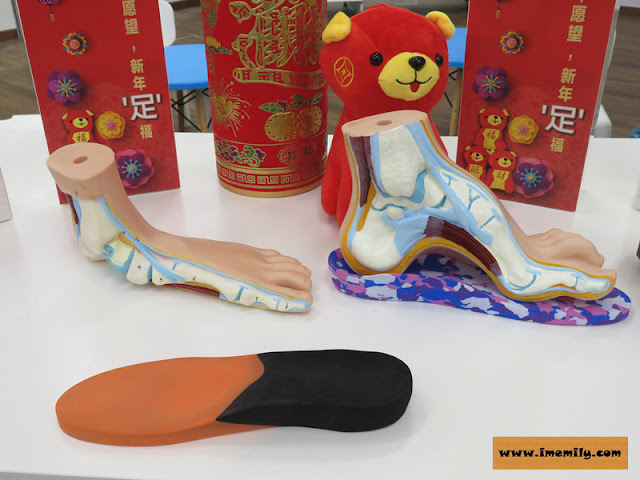 Sunfeet International is a Malaysian homegrown that focuses on orthotic services and prescription and orthotic and prosthetic products to satisfy the needs of the ever-growing orthotics and prosthetics care in the country. 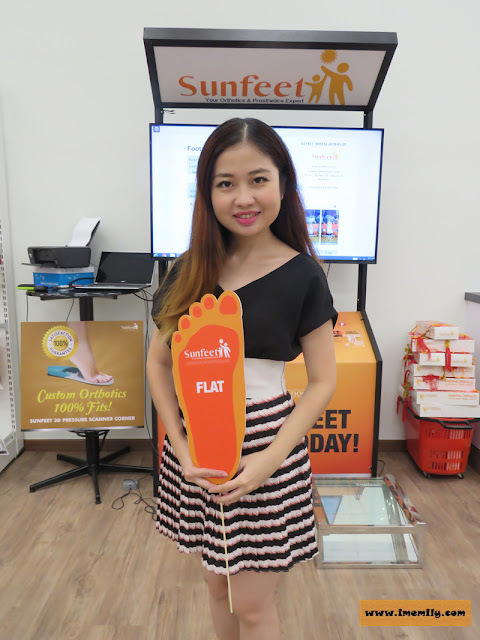 For inquiries and consultation, contact Sunfeet International at 013 – 528 3939. Thank you dear! Happy 2018! Thanks for sharing this info with us. Have a great week.